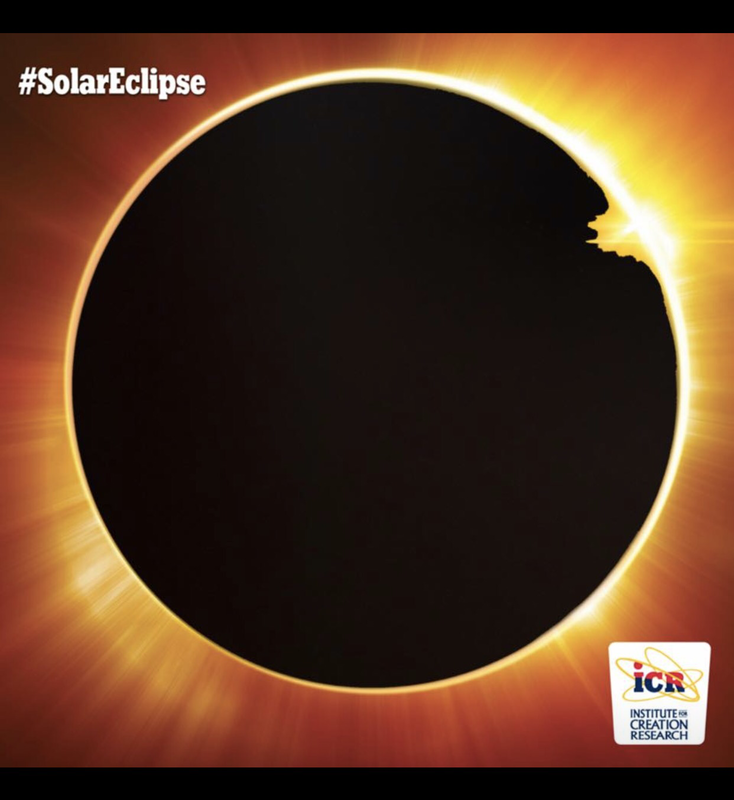 Did you see this Facebook profile frame for the eclipse? This was a sponsored ad from the Institute for Creation Research. It was a paid ad from a religious organization, and most Facebook users had no idea. These people call themselves Christian and dedicate their lives to discrediting science and denying humanity’s advances during the Enlightenment. Beyond making some Christians feel good about themselves, and enriching advocates, this sort of faith-based Biblical ignorance is worse than pointless, it overshadows the authentic message of Jesus. The first five books of the Hebrew Bible and the Christian Bible are the Torah, the Pentateuch, which includes Genesis. 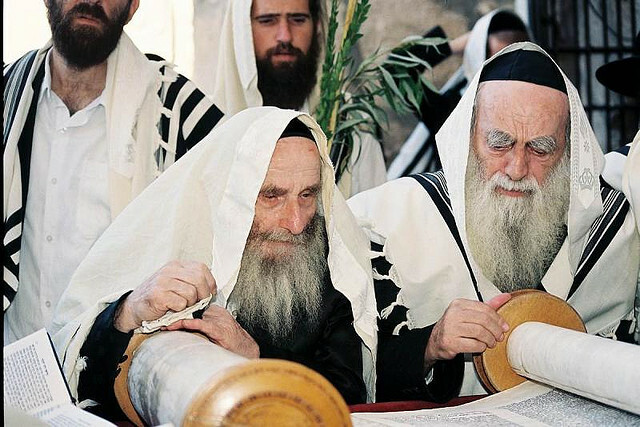 Jesus criticized the religious leaders for their spiritless, literal reading of the Torah, a reading that focused on the words of scripture and ignored people. The people of ICR do the exact same thing that Jesus denounced — they dedicate their careers and energies to strictly interpreting scripture, leaving no room for discussion, different views or for the Spirit of God to move. There is a Christian cottage industry finding science and history and projected what customers want to see onto the pages of the Jewish scripture. Millions of dollars are made selling to Christians ‘facts’ that support what they already believe. Literal interpretation of the Bible willfully ignores the historical and cultural context in which the words were written. We can tell they are wrong because Jewish people don’t agree with their fundamental, literal reading of Jewish scripture in English. Well, some Jewish people read Genesis literally. The Jewish people who read the Torah literally aren’t visiting LifeWay Christian bookstores or creationist museums. Even the most conservative, fundamental Torah readers understand that Genesis is archetypal metaphor, not literal. Christians reading Genesis in English literally are like people who see photos of the eclipse and think they’ve witnessed nature. These Christians read Genesis and think Adam is a literal person. Every Jewish person reading Genesis in Hebrew knows that Adamah is a literary metaphor mean “Mud Man.” Adam isn’t a person. He’s a literary technique to represent all of humanity, both women and men. Conservative Christians get that wrong, and then proceed to misread the rest of the Bible. And because their faith is built on mistakes, they compound their mistakes by refusing to accept basic science that might contradict their beliefs. Eventually, scripture gets twisted so badly, that they miss the entire message of Jesus. Scripture was made for humanity, humanity wasn’t made for scripture. If your faith leads you to value scripture more than people, then your faith has been eclipsed. This entry was posted in culture, Faith, in the news, Uncategorized and tagged Adam and Eve, Adamah, Biblical ignorance, Christians, Facebook, ICR, Jesus, Scripture, Solar eclipse, Torah. Bookmark the permalink.